Stuv 21/75 woodburner with sliding door wood burning stove installation from Kernow Fires. Special requirements: Enough heat and large enough not to get lost in this huge space. 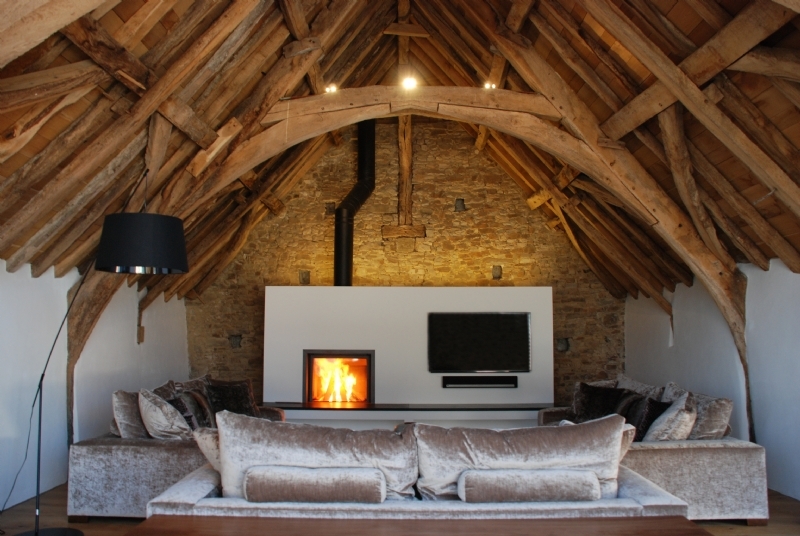 This is one of the most spectacular building Kernow Fires has worked in, sympathetically converted by Bazeley Architect, this huge barn was crying out for a Stuv stove. 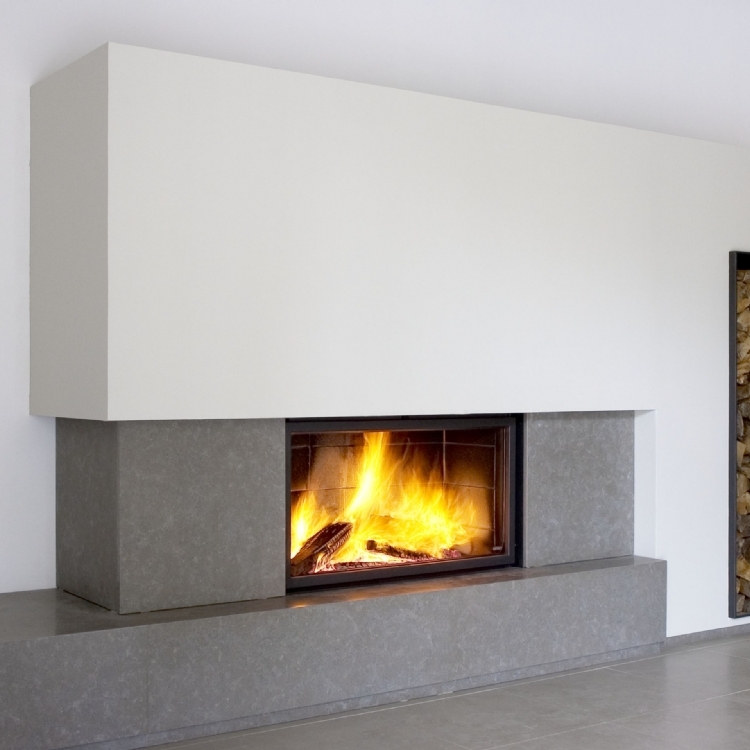 The bespoke fireplace was made to stand off the back wall encasing the Stuv 21/75 and made large enough to house the TV. 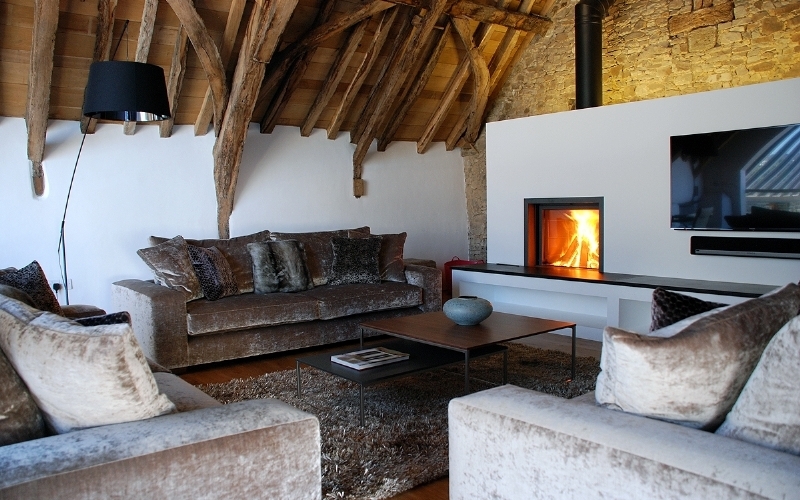 With bespoke raised granite hearth the fireplace adds a contemporary twist which complements the conversion perfectly.